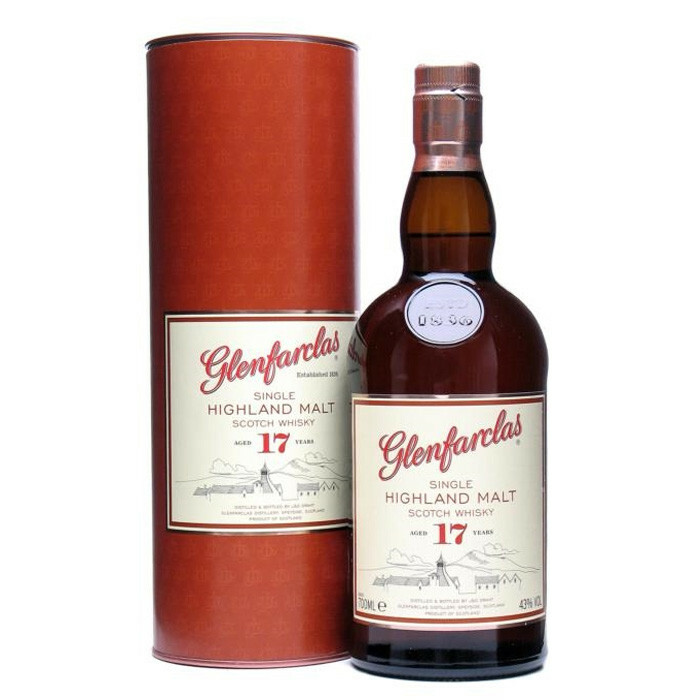 A delicious, richly sherried Glenfarclas aged for 17 years and launched for the travel retail market. Loads of character and depth, just what we've come to expect from the distillery. Rich and surprisingly good value. Nose: Complex and sophisticated, notes of buttery toffee, malt sherried peels, dates and even a hint of peat. Palate: Full-bodied and rich, it fills and coats the palate with warming nutmeg, sherried fruits, cinnamon and mixed peels. Finish: Long, spicy and sweet with just a hint of smoke on the tail.